My husband and I took a lovely walk in downtown Sioux Falls today. It was a brisk yet unseasonably warm day. 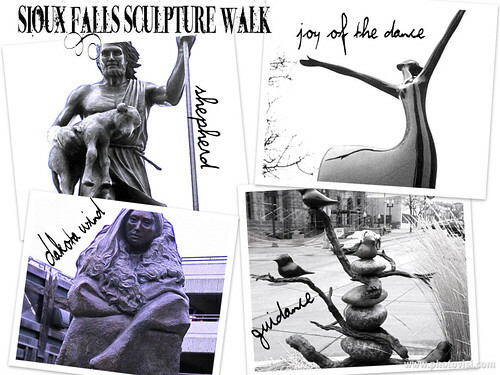 The Sioux Falls Sculpture Walk is one of my favorite parts of the city. Here were a few of my favorites today.